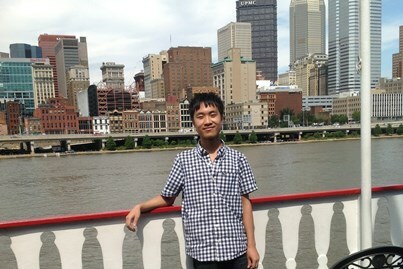 I am a PhD student in Computer Science Department (CSD) at Carnegie Mellon University. I am broadly interested though in many areas of computer science theories, including spectrum graph theories, approximation algorithms and machine learning theories. I am very fortunate to be advised by Gary Miller. Timothy Chu, Yu Gao, Richard Peng, Sushant Sachdeva, Saurabh Sawlani, Junxing Wang. Graph Sparsification, Spectral Sketches, and Faster Resistance Computation, via Short Cycle Decompositions. FOCS 2018. Matthew Fahrbach, Gary L. Miller, Richard Peng, Saurabh Sawlani. Junxing Wang, Shen Chen Xu. Graph Sketching Against Adaptive Adversaries Applied to the Minimum Degree Algorithm. FOCS 2018. Ioannis Caragiannis, David Kurokawa, Hervé Moulin, Ariel D. Procaccia, Nisarg Shah, Junxing Wang. The Unreasonable Fairness of Maximum Nash Welfare. ACM Transactions on Economics and Computation. Special issue on selected papers from EC-16. David Kurokawa, Ariel D. Procaccia, and Junxing Wang. Fair Enough: Guaranteeing Approximate Maximin Shares. Journal of the ACM 65(2), article 8, Feb 2018. Ariel D. Procaccia and Junxing Wang. A Lower Bound for Equitable Cake Cutting. EC-17: Proc. 18th ACM Conference on Economics and Computation, pp. 479-495, June 2017. Ioannis Caragiannis, David Kurokawa, Hervé Moulin, Ariel D. Procaccia, Nisarg Shah, Junxing Wang. The Unreasonable Fairness of Maximum Nash Welfare. EC-16: Proc. 17th ACM Conference on Economics and Computation, pp. 305-322, Jul 2016. Superceded by the TEAC paper above. David Kurokawa, Ariel D. Procaccia, Junxing Wang. When Can the Maximin Share Guarantee Be Guaranteed? AAAI-16: Proc. 30th AAAI Conference on Artificial Intelligence, pp. 523-529, Feb 2016. Ariel D. Procaccia and Junxing Wang. Fair Enough: Guaranteeing Approximate Maximin Shares. EC-14: Proc. 15th ACM Conference on Economics and Computation, pp. 675-692, Jun 2014. Superceded by the JACM paper above. Best student paper award at EC-14. Junxing Wang, A simple Byzantine Generals protocol, Journal of Combinatorial Optimization, 2012, 10.1007/s10878-012-9534-3.